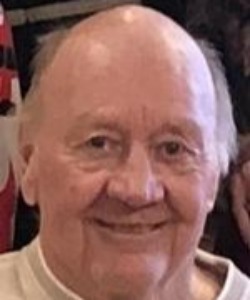 Ronald Harvey Voeltner, age 78, of Oshkosh, formerly of Berlin, died Friday, February 8, 2019, at Evergreen Retirement Community in Oshkosh. He was born in Berlin on July 30, 1940, to the late Harvey and Esther (Dehn) Voeltner. Ron was a 1958 graduate of Berlin High School and graduated from the Institute of Business School, Oshkosh. On September 2, 1961, he married his high school sweetheart, Marilyn (Zander). For many years Ron owned and operated Voeltner Construction in Berlin until his retirement. He loved gardening and spending time with family and friends at his beloved pond. Nothing was more important to him than seeing his kids and grandkids fishing, swimming, laughing, and riding the tractors at the pond. Memories and love are what Ron created for everyone who visited and spent time there. Ron's greatest joy in life was his family and they include: his wife of 57 years, Marilyn Voeltner; two daughters, Kelly (Greg) Grey, of Winneconne; Julie (Walt) Williams, of Oshkosh; grandchildren, Charlie and Robert Grey, Jacob (Aleisha) Rittich, and their family, Skye, Joe, and Jordan; Taylor Rittich (Tony), and Tayelynn; Walter, Julia, and Emma Williams; and other relatives and friends. A visitation for family and friends will be on Monday, February 11, 2019, from 11:00 a.m. to 1:00 p.m. at Mueller Funeral Home 904 E. Main St. Winneconne. A funeral service will be held on Monday at 1:00 p.m. at the funeral home. Cremation will follow. Ron's family wishes to thank the nursing staff at Evergreen Creekview Rehab Center; the entire staff was loving and truly cared about our husband, dad, and the entire family. We are forever grateful for each and every one of them. Marilyn, Kelly, Julie, and family - I want to express my condolences to all of you. Ron will be missed. 57 years together is something to cherish. Stay strong and always remember the good times. So sorry for your loss. We are so sorry for your loss. You are in our prayers! We were so sorry to hear about Ron. Please accept our sincere sympathy. Dear Marilyn, my heart goes out to you. I will be in touch with you when we return from vacation in California. So sorry, so sad to hear about Rons passing. Marilyn and family, So Sorry for your loss. Our thoughts and prayers are with you! Our sincerest condolences to Kelly, Greg and all of Rons family. Ron was always the most gracious host whenever we met him. Always a smile. Sorry for the loss of this wonderful man. I am so sorry for your loss,may he RIP. nd I hope the end was without pain. Sorry, I can't attend the funeral, but will definitely come to see you this spring, when we can talk. Again, sorry for losing him. My sympathy to all of you.